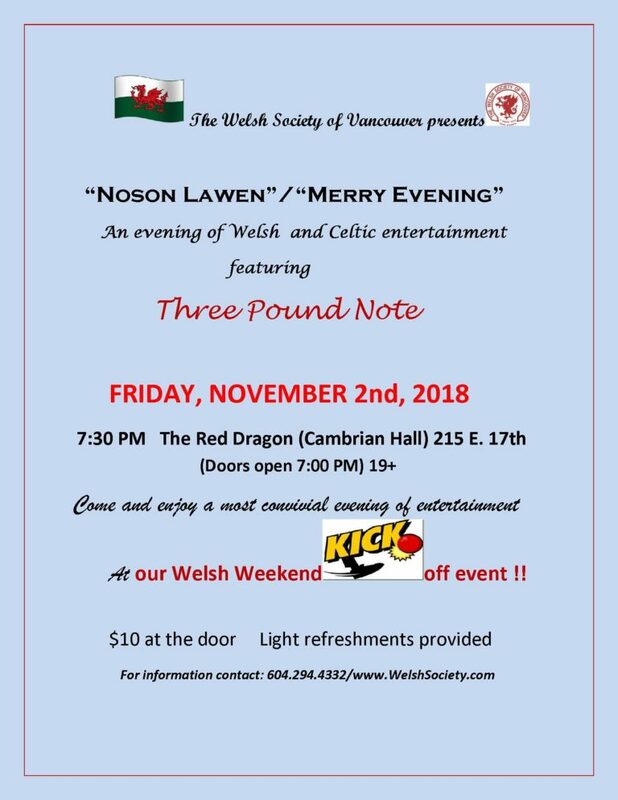 An exceptional evening of Welsh and Celtic entertainment the main feature being “Three Pound Note“. There will also be performed the Mari Lwyd wassailing folk custom found in South Wales. The tradition entails the use of an eponymous hobby horse which is made from a horse’s skull mounted on a pole and carried by an individual hidden under a sackcloth. Teatime at the Cambrian this year, celebrates the 100th anniversary of the death of the poet Hedd Wyn, with a film presentation of the Opening Concert at the National Eisteddfod in Angelsey. 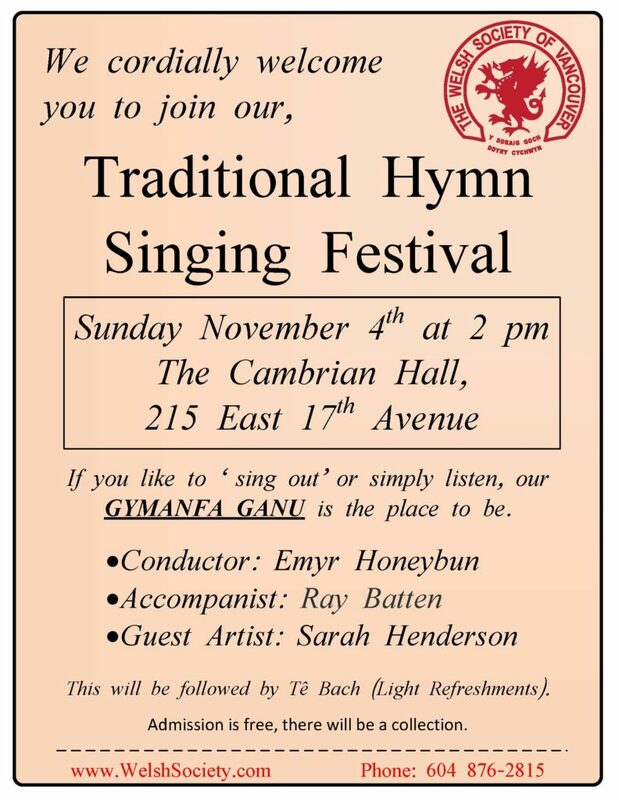 Our traditional Gymanfa Ganu with Emyr Honeybun as conductor and Ray Batten as the accompanist. Our guest soloist will be Sarah Henderson. The Gymanfa will be followed by a Tê Bach (light refreshments). Click here to access the Schedule for the autumn term. The book this month is “The Chilbury Ladies’ Choir” by Jennifer Ryan. This Saturday David Webb and David Llewelyn Williams will focus on two Anglo Welsh poets – Dylan Thomas and R.S. Thomas. This promises to be an interesting afternoon. A Tê Bach (light refreshments) will be served afterwards with welsh shortbread . On this Workparty Day we will be decorating the Red Dragon ready for our Christmas activities. A delicious lunch will be provided and we’ll be playing Christmas music. Looking forward to seeing you there. 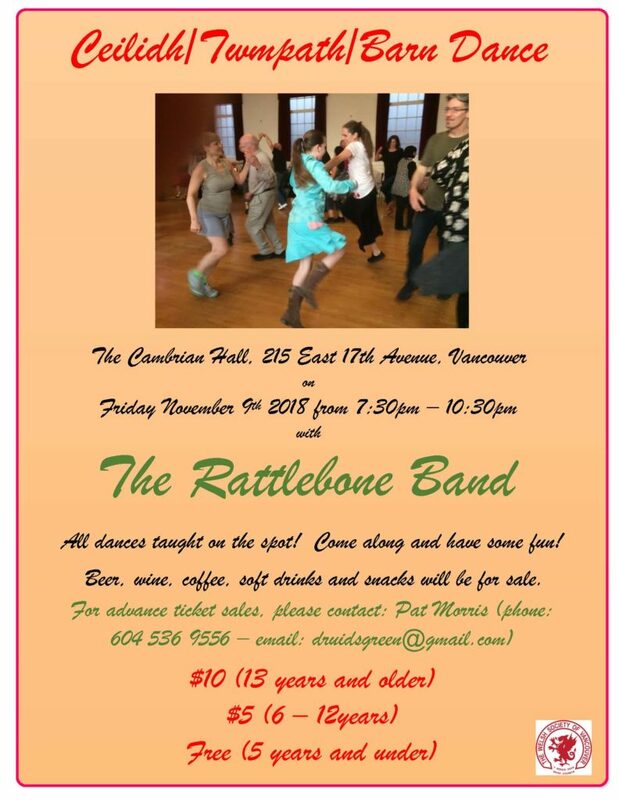 Come and join the fun. This will be a very merry evening . We gather in the Red Dragon, now beautifully decorated, at 7 pm for 7:30 pm for our traditional Mulled Wine (or Cranberry Cocktail) pre Christmas celebration. There will be some Christmas readings and we’ll join together to sing carols.